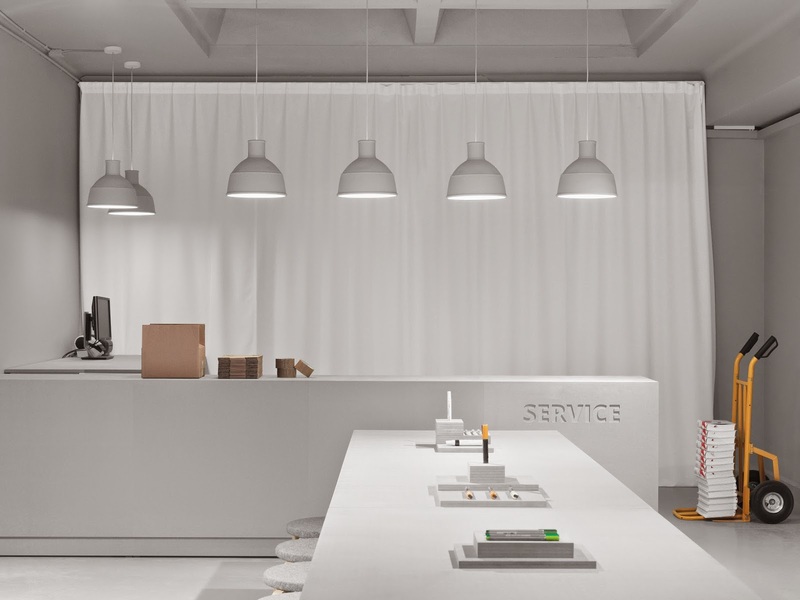 The Pen Store is a new retail space that behaves like a shop, a gallery, an atelier and a supplier warehouse - a new brand experience, designed by the Stockholm based industrial design studio; Form Us With Love. With the aim to provide a long sought after creative hub for local studios and o ces, the Pen Store has become the place to gather and share ideas of sketching, drawing and writing, using the best materials on the market. 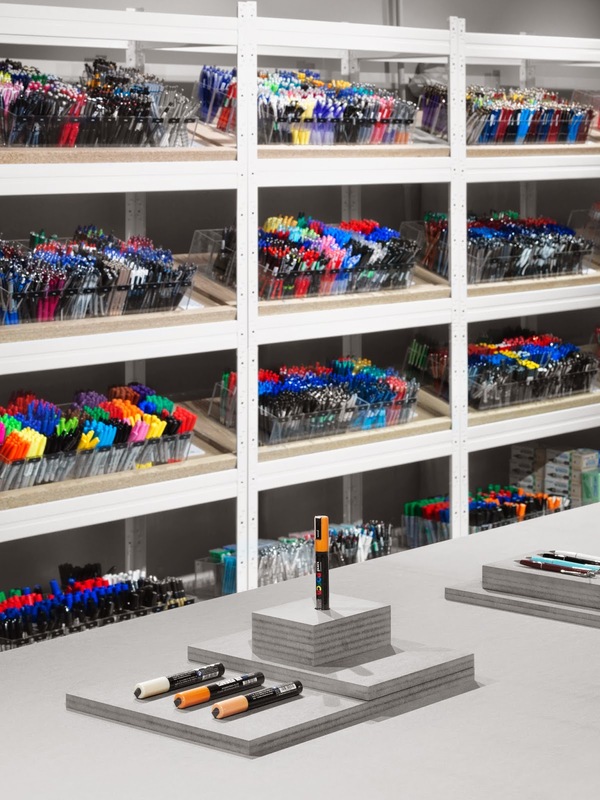 "We really hope our store can be a living space for people that like pens as much as we do," says Pen Store. Inspired by their own studio work practice of drawing new designs, Form Us With Love wanted to invite more people from di erent creative disciplines to interact with the wide ranging assortment at the new store. "We would like to change the perspective and show what you actually can do with Pen Store's great products rather then just show the pens," says Form Us With Love. The Pen Store experience was materialised by international renowned artist such as Lovisa Bur tt, Rasmus Wingård, Amelie Hegardt, Moley Talhaoui and Clara Aldén who took part in the rst experimental exhibition, using their favourite materials from the store. "We asked our favourite artists, illustrators and designers to pick there favourite pen and interact with the space, the outcome was amazing," says FUWL. 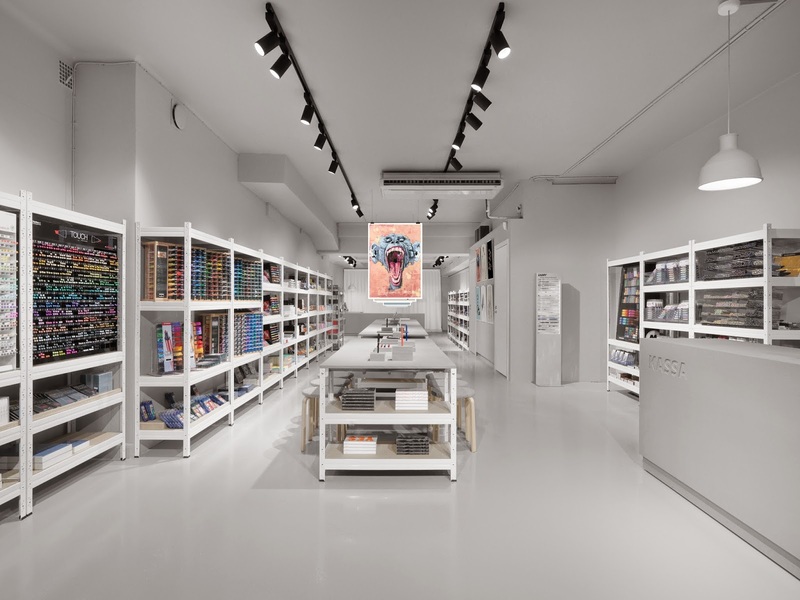 Centred around the supplier-studio relation, interacting with the users of fountain pens, markers, mechanical pencils and brush-tips, the Pen Store comes to life, as the number one supplier for the creatives of the world. The posterns generated will be produced by Paper Collective and 15% will be donated to save the rainforest. Situated on vibrant Hornsagatan in Stockholm, the new Pen Store is the place to go to for anyone who puts their pens close to their heart. The product assortment is constantly growing in store and online - providing the best pens, notebooks and paper materials in the world. FUWL was started in 2005 by John Löfgren, Jonas Pettersson, and Petrus Palmér. 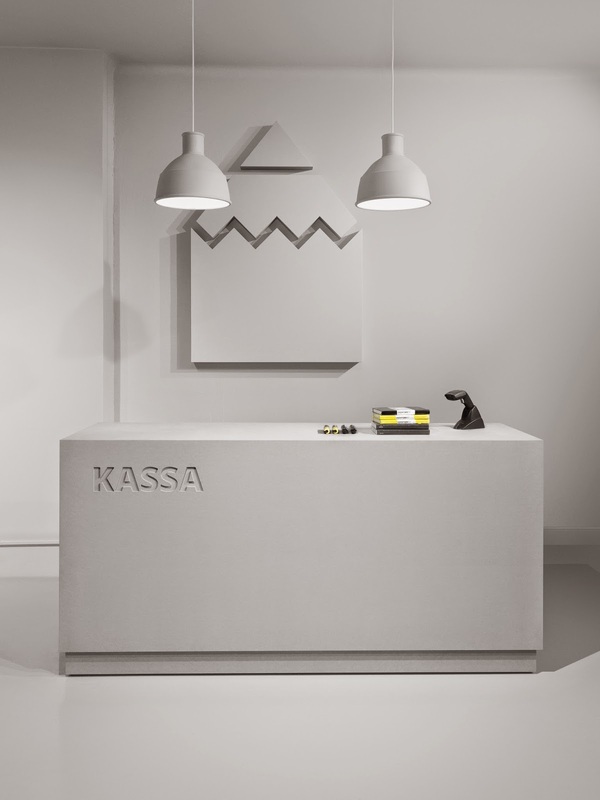 They met studying Product Design at Kalmar University, in deepest, darkest Småland, a county in southern Sweden known to be the heartland of Swedish furniture manufacturing. Even if the number of products that carries its name is big for a relatively young design studio, the biggest achievement for FUWL isn't the actual product, but the process of thinking, creating and communicating design. Through its relentless search for new opportunities and collaborations FUWL has shown that there are still great opportunities right under our noses. FUWL's ambition is to be part in creating the top design companies around and has a strong belief that holistic design thinking is the way to get there.